Clean Rooms, Accommodating and Hospitable Staff, has security guard and CCTV. Explore Coron Town! Using a land transport, we guide to Local Souvenir Shops, Coron Seafood Market and best Cashew nut producer in the locality. Climb 700 steps to Mt. Tapyas and see a breathtaking view of the town and its picturesque bay during sunset. At sunset time, take a plunge in a soothing Makinit Natural Hot Springs of salt water. Destinations: Cashew Nut Producer, Mt. Tapyas Hill viewdeck, Mikinit Hotsprings, Coron Market and Coron Centennial. Enjoy a whole day eco-trip which provides a variety of experience. Have a minor hiking, swimming, snorkelling activities as you go through Kayangan Lake and Twin Peaks Reef, another great snorkelling experience at Calachuci Coral Eden. his tour unveils Hidden Lagoon with tranquil waters surrounded by limestone formations. Seafood picnic lunch will be prepared at Isla Bulungan known as Expedition Island, a beach with fine white sand and native cottages. Then proceed to another snorkelling/swimming at CYC Island and enjoy a sunset cruise on the way back to Coron Town. Take your first stop at Siete Pecados Marine Park and get close to various fish and coral species of one of he best snorkelling sites in Coron. Experience the natural wonders of island called Barracuda Lake, home of beautiful rock formations above and below. Your picnic lunch will be served at Dimanglet Island, another rich island with pristine white sand beach. Another stop at Coron Coral Triangle, another snorkelling or swimming activity and your final leg will be a walking tour at Lajala Cultural Village. This tour is designed for those who want to relax and spend your day in the isalnd. Simply, get lazy on the hammock and read your favorite book. Enjoy the breeze and refresh yourself with fruit drinks. Behind the island is a mini-forest which allows you to explore some of its wildlife features like monkeys, squirrels and various birds species. Walk around the island and bring your camera for tropical-picture perfect opportunities. A sunset cruise will always calm your soul as you sail back to Coron Town. 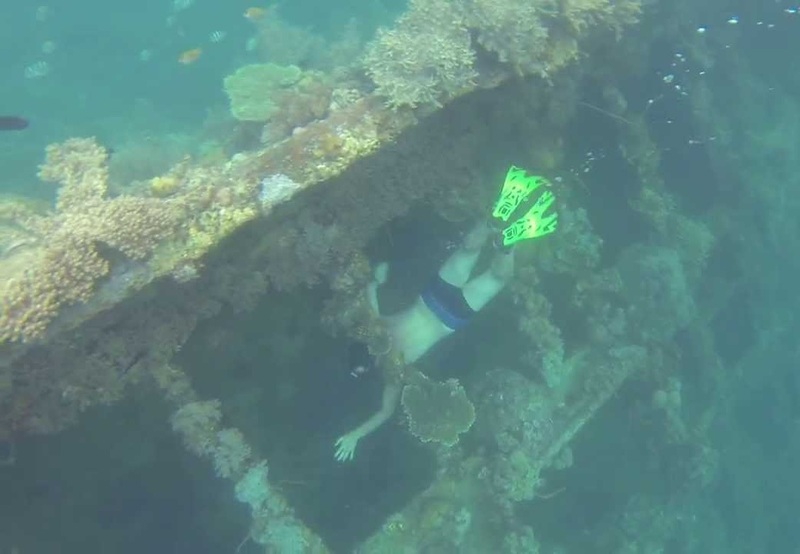 This tour is an experience of Wrecks and Reefs. From the fate of war to the growth of corals in the Shipwrecks. It brings you back to our local World War II history experience when, "At 0900H on 24th day of September 1944 Task Force 45 Carrier-based bombers attacked and sank 24 vessels around Busuanga and Coron Island." Grab your snorkelling gear and be a witness of this wrecks & reefs. The 35meter length Tangat Gunboat or U-Boat Hunter still exhibits its shape and form while also serving home of various coral and fishes. Spend lunch at Kalitang Beach and visit toDecalve Marine park for another colorful snorkeling experience. Take a therapeutic dip at Sangat Slatwater Hotsprings Hidden behind the mangroves. Calumbuyan Eco-Tour is an exciting island day tour where you go from one island to coral gardens and lusong wreck gunboat. This is typically experiencing life at the beach with more swimming, snorkeling opportunities to colorful coral garden. 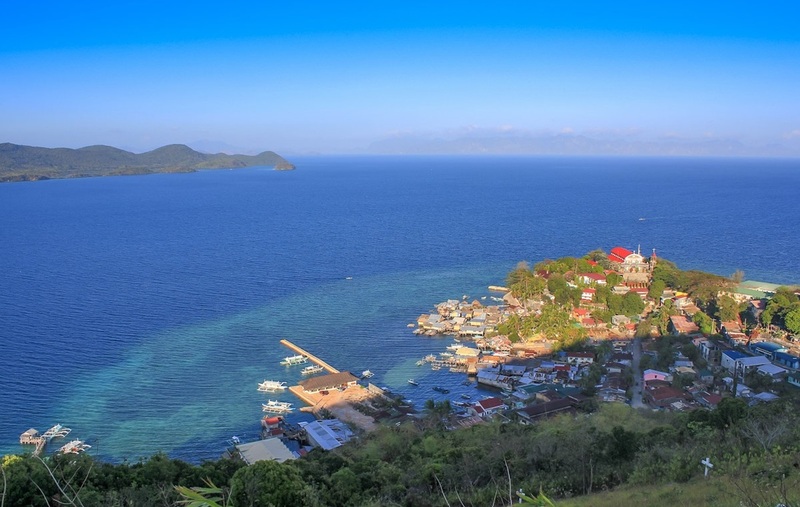 Enjoy refreshing natural breeze from the wet coast of Busuanga Islands. Grab your snorkeling gears and explore the housereef of the Busuanga's Prime Island. Before the end of the day there is a picture perfect sunset awaiting as you cruise back to Coron Town. The Island of Cullion is a former leper colony and once a very isolated-lonely island. To date, it is now a very progressive and a must-go tourist area in Calamianes. 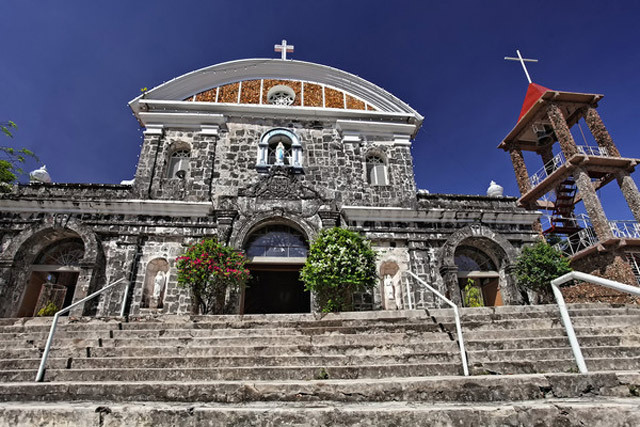 The 17th century fort built during the Spanish era now serves as their community church. Walking around the town gives you appreciation of the old structures and architectures of the pre war time. The museum also exhibits most of the municipality's artifacts, documents and information how they have struggled to cure leprosy in the island. Before finally leaving the munici[ality, take a dip into Bagor Marine Park and enjoy the underwater sceneries by snorkeling. Get some picture of the sunset to complete your historical day as you cruise back to Coron Town. Explore Busuanga's Wildlife Sanctuary early in the morning and witness other wildlife as they come out from the forest and feed. Watch various birds species as they cross the mangrove channel. Take the Safari tour and experience feeding the giraffe with her local diet. The Safari provided opportunities to see both exotic and endemic species harmoniously living in Calauit Island. On the way, back take a quick tour at Black Island Caves (weather permiting) or take a quick tur at the fisherman village for a possible shopping of dried fish, squid and other marine products. Again, the sunset cruise will always be part of the trip.